Ever since moving into Garsfontein x10 in 2007, I have been recording birds in the area. Together with Garsfontein x11 this forms an area known as Garscom, driven and managed by us as the community and running various projects, of which one is bird watching. Recently I have asked Henk at www.birdlasser.co.za who has an awesome bird listing app to assist me in creating a bird list for Garscom. I was pleasantly surprised to note that we have recorded 140 species in an area of 2.76 km². Yesterday afternoon whilst walking Xavier, I heard the distinct call of Yellow-fronted Tinkerbird! 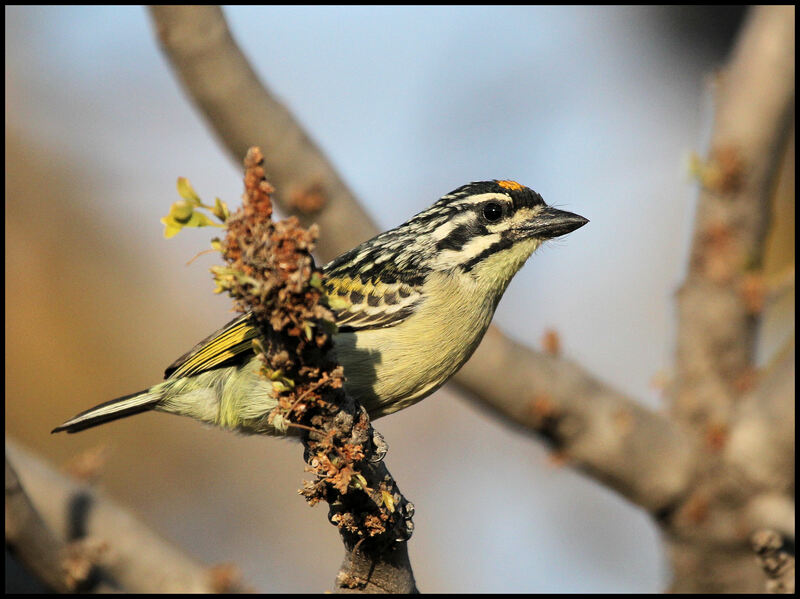 Soon after, I saw a pair of them, which constitutes #141 for Garscom, investigating a possible nesting site in Poolhond street, much to the despair of the resident Black-collared Barbets. This is a forgone conclusion that suburban gardens attract a magnitude of bird life. And especially so here in Pretoria east, bordering highveld grasslands and bushveld habitat. Garscom in particular is a special area, where in addition to the wonderful bird life, wild life such as Porcupine, Lesser Bushbaby and Large-spotted Genet also occur.